LARRIKIN PUPPETS. Puppetry for all occasions. When life took a sharp turn for Brett Hansen, he took the plunge and pursued his life-long passion. Along the way he met his heroes and found true love! Brett had spent his youth practicing puppetry, but years spent trying to find work that could best use his artistic and performing skills had not turned up anything he could really sink his teeth into. Through small gigs and amateur shows, Brett had been around the edges, but never quite able to fully explore his passion. Everything changed for him when he was made redundant from his job. Rather than apply for work he was unsuited for, Brett decided to finally go for it! Puppetry was his passion and NEIS training would offer him the opportunity to make the best use of his ideas in a professional, working business. Brett’s enthusiasm and dedication did the rest. Throughout his NEIS training, Brett’s mentor Sandra from Sarina Russo shared the successes and setbacks, offering ongoing advice for dealing with situations typically faced by startups. During the training Brett came to think of himself as an entrepreneur – not just an artist. This shift in focus gave him the inspiration to keep developing. All the subjects covered within the NEIS program were practical steps rather than just theory. Each area was applied to the particular needs of Brett’s business – with questions answered and clear tasks identified for him to complete. Focus and talent brought Larrikin Puppets to life. Brett developed a repertoire of shows and workshops from his base on Bribie Island that now take him all around the greater Brisbane area to schools, childcare centres, festivals and parties. In 2015 Brett won the BizCover NEIS Change Award for Larrikin Puppets at the Small Business Development Conference in Melbourne, after the incredible growth of the business throughout its first three years. In 2016 Brett spent a week in residence at Belmont State School teaching children the art of storytelling through puppetry as part of the Belmont Literary Carnivale. Recently Brett has been puppeteer in several film, theatre and TV projects, including performing puppetry on Network Ten’s ‘Totally Wild’ and ‘The Bureau of Magical Things’, as well as Richard Bell’s ‘5 for 35’ film which screened at APT8 (8th Asia Pacific Triennial of Contemporary Art) at GOMA (Queensland’s Gallery Of Modern Art). 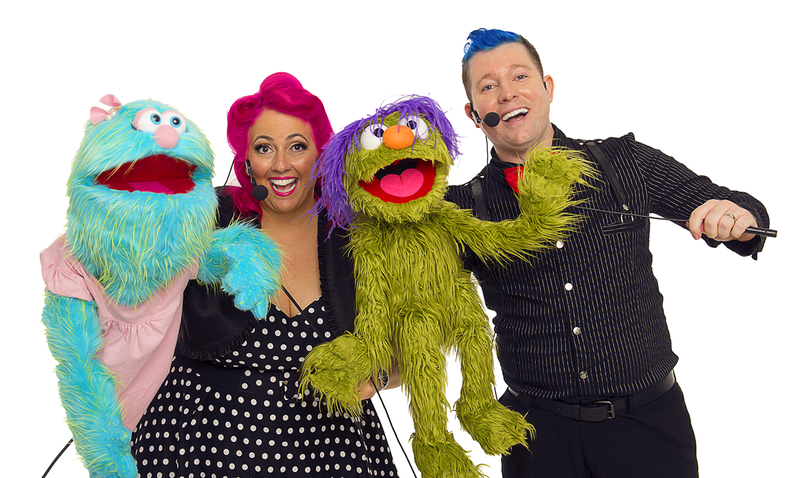 Brett also recently married Elissa who, after a few years together, found Brett’s passion for puppetry contagious and began training as a puppeteer herself. She and Brett now perform together at festivals and touring shows. “I found a wonderful woman who loves me for all of my quirks and creative madness. She shares my journey as we live and work happily from home together” says Brett about Elissa. In 2016, Brett and Elissa spent three months in the USA for professional development where they networked, trained and performed with puppeteers in New York City, Los Angeles and Texas. There were festivals and shows for children and adults – Brett had found his people! His hard work had paid off in the best possible way, meeting his heroes and receiving formal puppetry training at the Beyond The Sock advanced puppetry workshop at the University of North Texas. This training was under Jim Henson puppeteers from Sesame Street and The Muppets; Marty Robinson and Noel MacNeal. These are memories Brett treasures along with the invaluable tips and experience he gained. More training followed at The Puppet Kitchen, New York under Michael Schupbach (Sesame Street, The Jim Henson Company). Brett performed his puppet show with his blue buddy Troggg and friends in New York City at the Puppetry Arts Festival of Brooklyn. Brett’s experiences in America have spurred him on. He is more resilient and resourceful than ever, employing his musical and puppetry skills to develop a range of great programs for his audience. You can catch Brett’s puppetry showreel on Youtube. 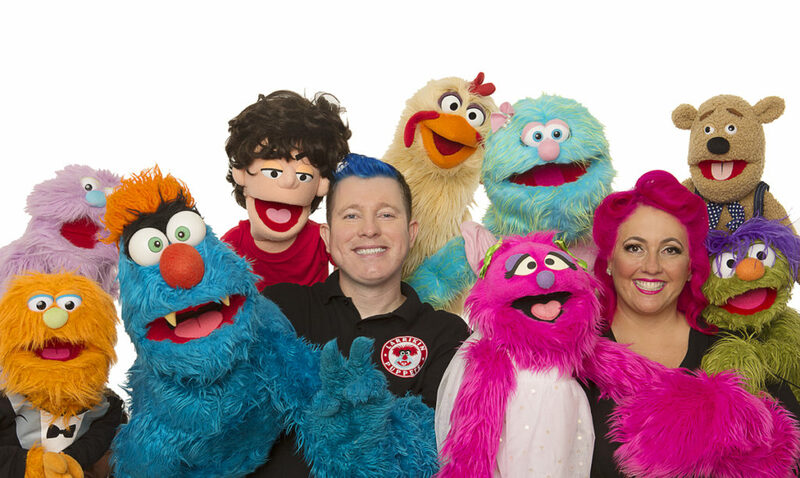 Larrikin Puppets is enjoying media exposure and a growing fan base. Brett’s tenacity and love for what he does, has seen healthy business growth and healthy bookings well into the year ahead!